Rome, Italy’s capital, is unlike any other city in the world. It’s a sprawling, cosmopolitan city with nearly 3,000 years of architecture, churches, monuments, restored ruins, culture and some of the world’s most renowned artworks on display. Not to mention some of the most delicious food in the world! 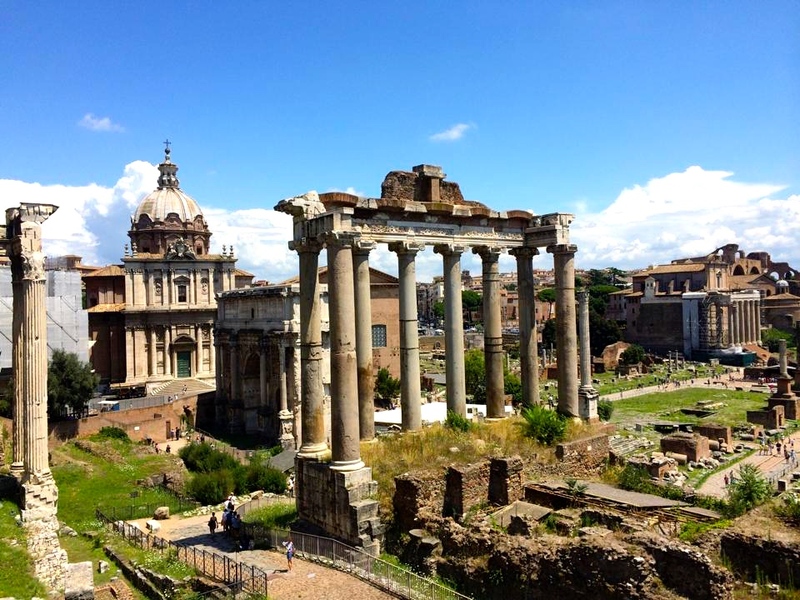 There is so much to see and do in this historically rich city but a few specific sites stand out the most as places not to be missed during your first visit to the city of the great Roman Empire. 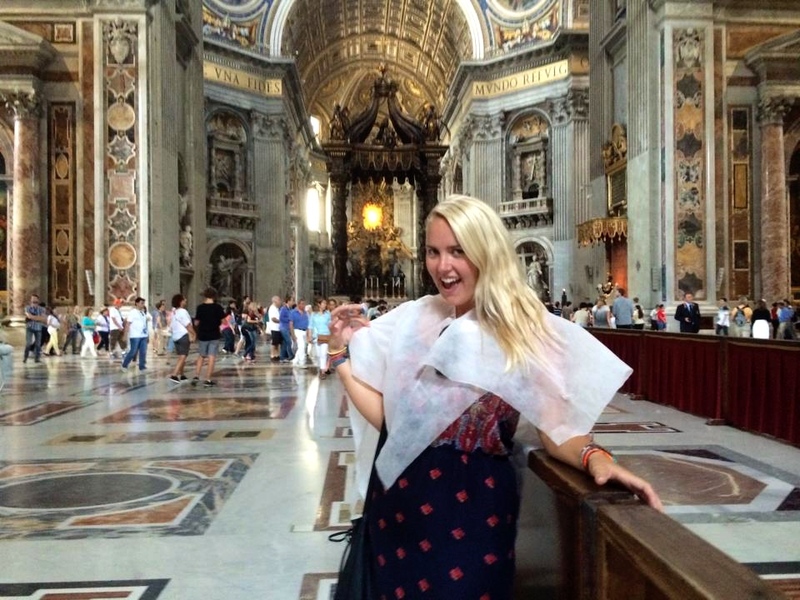 6 PLACES YOU CAN’T MISS DURING YOUR ADVENTURES IN ROME! If there is one place in Rome you have to visit it is the incredible Colosseum, the biggest testament to the skill of the ancient roman architecture. also known as the Flavian Amphitheatre it was built by Romes Emperors for gladiatorial shows. In 80 A.D there was a magnificent, and brutal, inauguration of games that lasted over one hundred days and resulted in the death of over five thousand animals. Up to 50,000 spectators sat in the stands and cheered the battles between man and animal, animal and animal and man and man. Gladiatorial games were held in the Colosseum until 438 A.D. I highly recommend either renting an audio guide or joining a guided tour to learn the history and stories of this incredible archaeological site and seven wonder of the world. A rectangular forum of impressive, yet confusing, ruins that were once the centre of Rome – a district of temples and important government buildings. Citizens of the ancient city referred to this space as the Forum Magnum. Located in the small valley between Palatine and Capitoline Hills the Forum attracts 4.5 million visitors per year. Notable sights include the Temple of Vesta, the complex of Vestal Virgins and Casa Delle Vestalia. 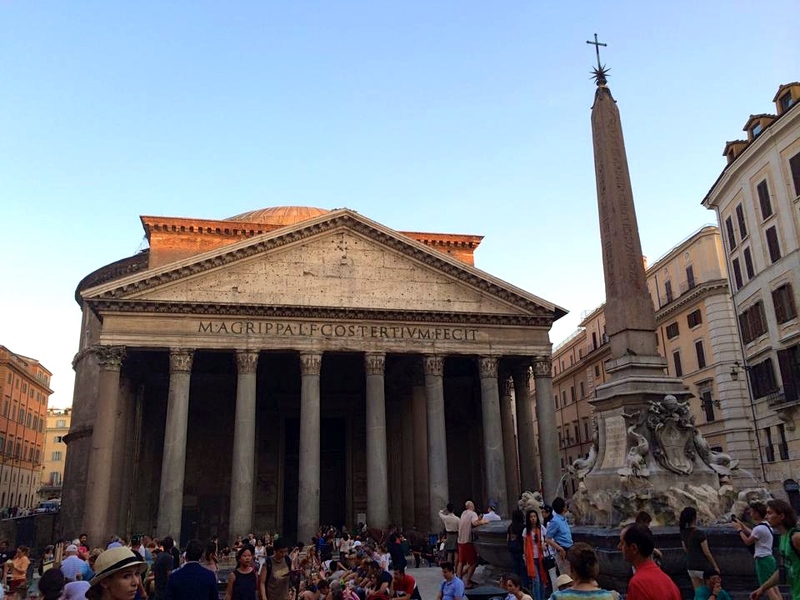 The most preserved and influential building of ancient Rome, the Pantheon was built as a temple to worship the gods of pagan Rome. Originally established in 27 B.C, it was re-built after a fire between 117-138 A.D by emperor Hadrian. I loved visiting in the afternoon as the sun set on the dome. Vatican city is one of the most sacred places in the world for Christendom and is a testament to the history of two millennia. Even though the Vatican is located in Rome it has been an independent state since 1929 with its own flag and currency. It even has its own military, the Swiss Guard, which protects the state, the Pope and the 800 full-time citizens and visiting residents of Vatican city. Technically it is counted as its own country, which I always forget to include in my country count. The largest religious building in the world is St Peters Basilica which can be found in Vatican City. It was erected over the tomb of St Peter, the apostle, and is the fruit of the combined genius of some of the world’s most famed architects and artists – Bramante, Raphael, Bernini, Maderno and Michelangelo. To enter St Peters Basilica, you will be required to line-up in the impressive St Peters Square, which was designed by Bernini in the late 17th century. Ensure that you are wearing something to cover your shoulders and knees, otherwise like me, you will be required to wear a paper cape to cover up (not the best look). 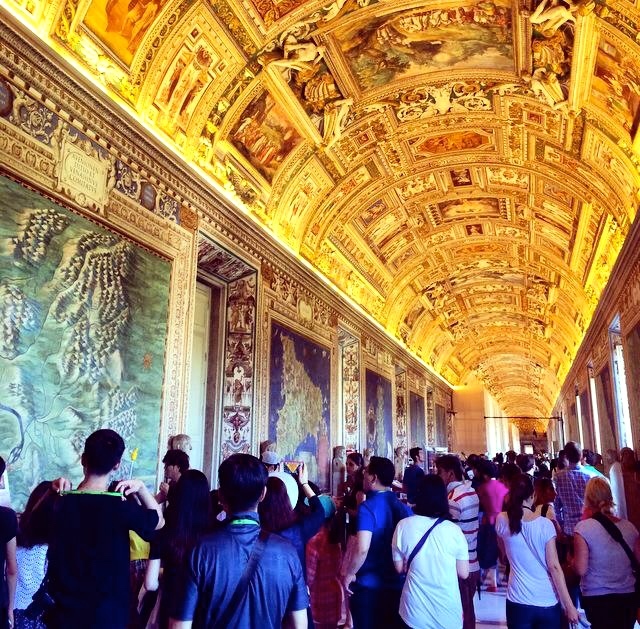 The next most visited site of the UNESCO city is the Vatican Museum. 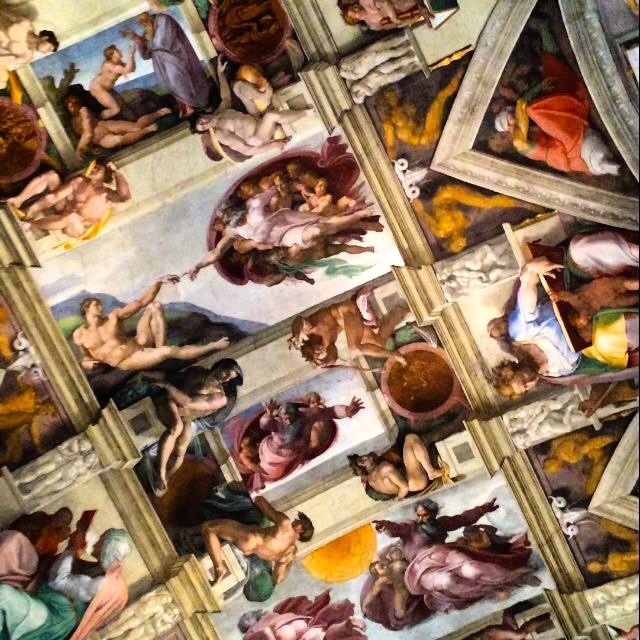 The museum holds some of the world’s most prized artworks but the most spectacular of all is the ceiling frescoes of Michelangelo in the Sistine Chapel. Photography inside the Sistine chapel is not allowed (and like the garden of Eden the temptation was too strong for me, I still sneakily got an iPhone photo of the ‘Creation of Adam,’ one of the most famous images in the world). It is also the room where new Popes are elected. Be prepared to be squished in like sardines, likely to be sharing the room with thousands of people. 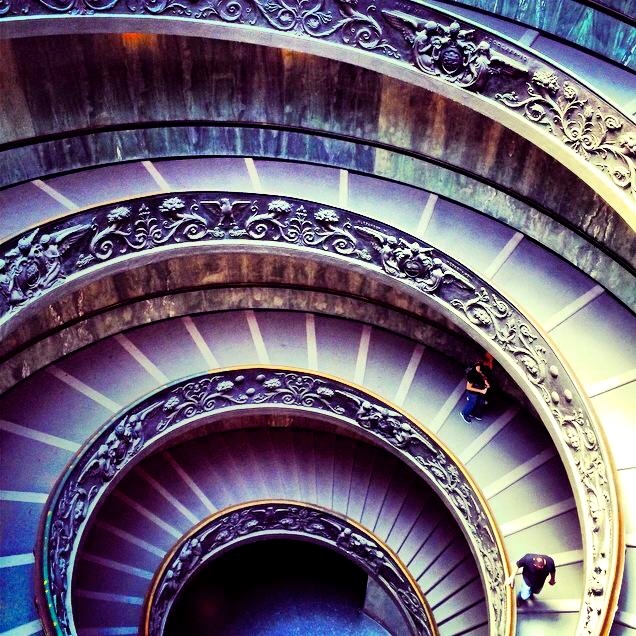 The Bramante Steps is also an iconic spot to grab a photo! It’s a double helix staircase meaning there are two staircases so people can ascend and descend without meeting. Whilst Vatican city was undeniably beautiful and a place I highly recommend visiting, it made me pretty mad to see billions of dollars worth of artwork sitting in the museum of the world’s biggest church when the money from the artworks value (not to mention the estimated $140 million they make per year from tourists visiting the museum) could eliminate the world’s poverty and find cures for diseases. It just didn’t feel quite right. It just seemed wrong that the church of the people was so extravagantly rich and immense in every meaning of the word. One of the most photographed sites in all of Rome, the Trevi Fountain is much more than a water fountain, but one of the most beautiful pieces of Baroque Architecture in the world. They say that if you throw three coins into the fountain you will return to Rome again (and potentially find love). You can feel good about your charitable donation too, as the money collected from the fountain (over $3000 each day) goes straight to food programs for the cities poor. Unfortunately, for me, it was being renovated during my visit to Rome, which only means I will have to return again, hey? 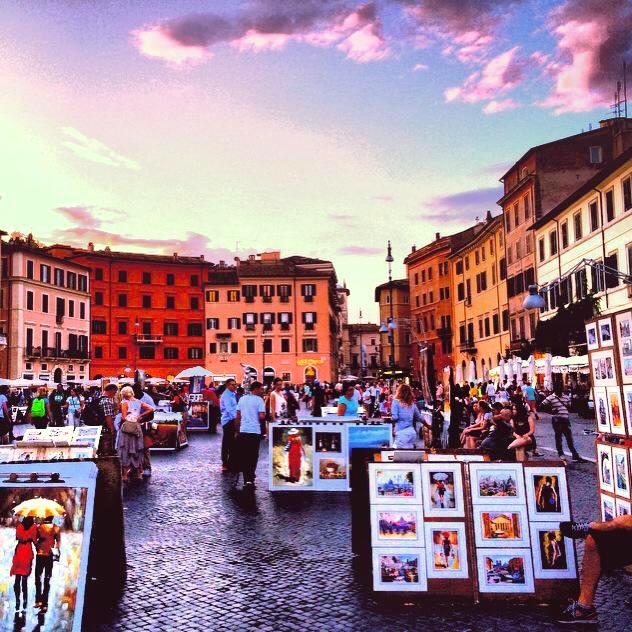 Through the winding streets of Rome, you will suddenly enter the beautiful and open Piazza Navona. The large public square, which was once the site of sporting events, is lined with open air cafes, street artists and incredible fountains, the most famous is Berninis fountain of the Four Rivers, with each of the four statues representing a river from different continents. Visit in the afternoon, just before sunset, where the square is filled with locals and tourists alike and the energy is electric. Purchase tickets online as lines can be massive! If you choose not to do this note that the Colosseum, Palatine Hill and the Roman Forum share the same admission ticket so head over to the Forum first as the line is far smaller there than the Colosseum. I suggest, like all of Europe in summer, waking up early to try to beat the crowds and make the most of your day exploring one of the world’s most beautiful and history-rich cities. 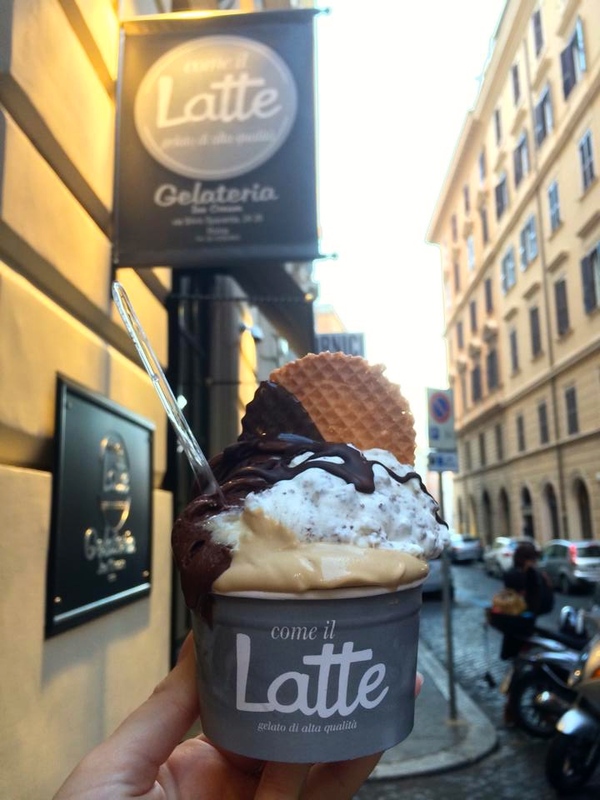 My favourite Gelato in all of Italy was at Come Il Latte, a few minutes walk from the main train station. All of the Gelato was made out of fresh ingredients and the flavours were incredible, mine was Caramel with Himalayan Rock salt and Mascarpone Cheese and Cookies. AMAZING! 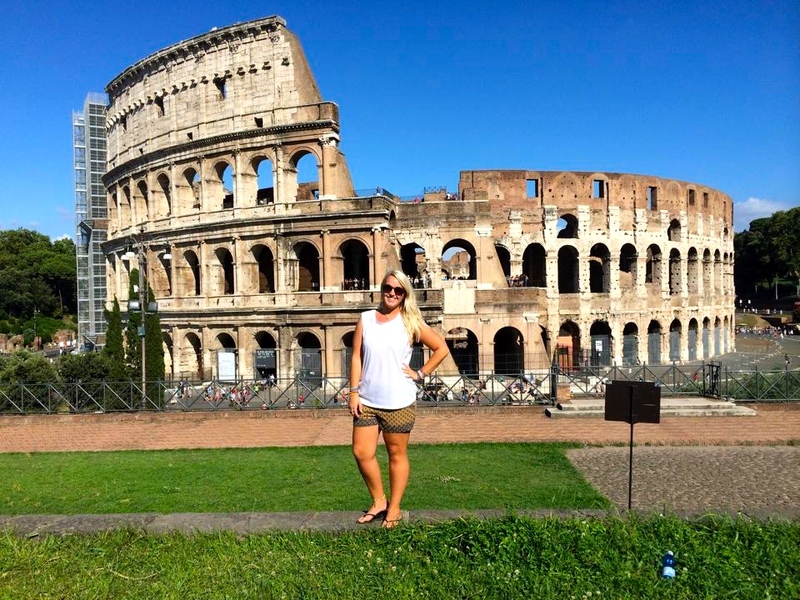 Rome is truly unique and overflowing with incredible history. 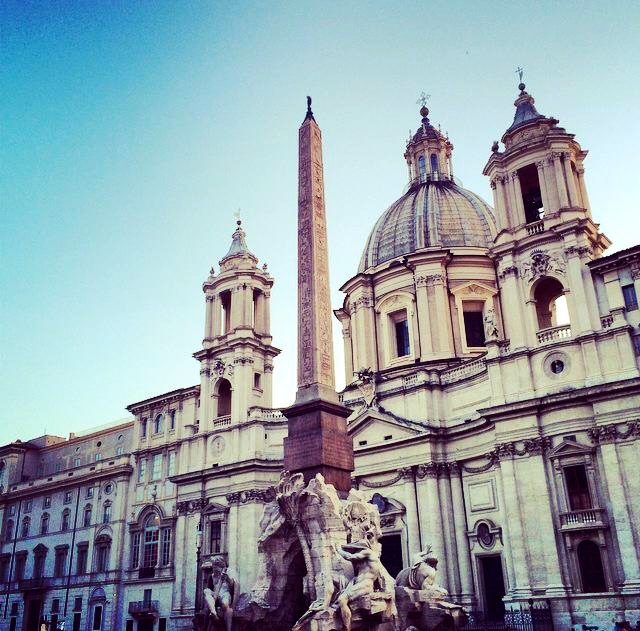 There is so much to see and do but the six sites above are definitely places you cannot leave Rome without exploring! Over to you! What is your favourite part about Rome? Or what places on this list are you most looking forward to visiting? I would love you to share in the comments section below! Oh I loved this! Rome is where my beloved grandparents were born and married, and where my Nonna fell pregnant with my mum before moving to Australia. Even though I’m yet to visit, I know one day I’ll call Italy home. Just looking at photographs and reading about it, I can’t describe the feeling – it’s a part of me. Can’t wait to get there!